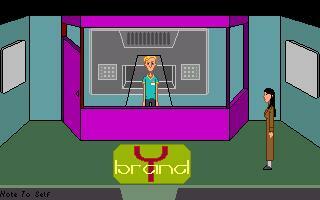 The inhabitants of Reality Station are paid a visit by a traveller from distant worlds. The traveller speaks of events leading to great destruction in the near future. Lots of nice ideas in here, but it felt that the game world was much bigger than it needed to be. Often there was only one hotspot per room, one conversation topic to explore, one puzzle per location. I did enjoy playing it, but it could have been even better with some more fleshing out.